Do you have difficult times? Have you been in situations when you feel like you are smothering, or that you can hardly breathe? When you want to feel cold, or hot, or even pain because numbness has taken over? If we live long enough, that IS an experience in life. How do we get through and move on through those times? What does it take? Can we prepare for trials and burdens? I love the parable of the Ten Virgins in the book of Matthew in the New Testament (King James Version Matthew 25). The more I live and experience, the more I draw from that allegory; to teach me and guide me. This particular story has five women who are foolish, and five who are wise, all waiting for the bridegroom to pass by so they can be a part of the much anticipated celebration. 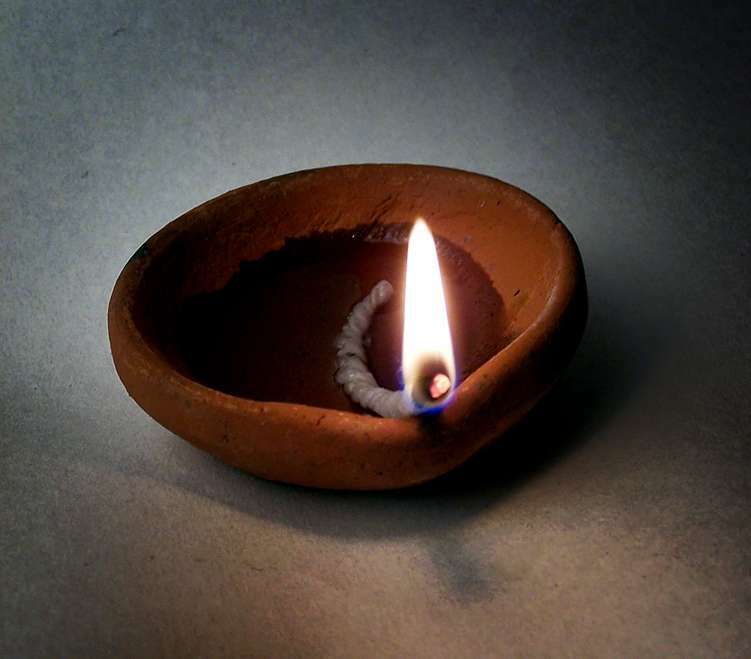 Our narrative took place a very long time ago when oil was placed in a little bowl, or a small lamp to provide the way for people to carry light with them where ever they went. To begin, oil was extracted from olives, which were first cleaned from dirt and their bitterness. Next, olives were crushed to extract their oil to be used for light. A wick was made from the stem of a rush plant or flax fibers. The wick was placed in the bowl to draw the oil from the vessel, providing light to shine -to see, read and work when the dark came. When the oil is gone, it has to be replaced, or the the wick could not feed the light source, continuing to provide illumination. In our story, the women must have laughed, talked and exchanged dreams of what it would be like at this fabulous, incredible event. The hour grew late and their eyes became tired until all fell asleep. Suddenly, without warning the eagerly awaited group came by to take them along. The hour had grown so unexpectedly later than any had planned and half were without any light. The foolish five whose lamps were empty asked the other five to share, as they had not thought to bring any extra along! They could not see their way in the dark and since the lamps were so small they simply could not provide enough light for more than one person to see safely along the still far distance journey the group had to travel. The five foolish women desperately pleaded and implored the other five to share. I imagine the five wise women being torn to stay as the group traveled by, wanting to help their friends. Possibly even being distraught themselves and weeping with them as they wanted to share, but not being able to. It was simply impossible. There was absolutely nothing they could do, but to hold them, love them, say a prayer with them and cry bitter tears as they walked away to join the group leaving to the grand celebration. Why could they not share? In our society today it is almost unfathomable that things cannot be distributed, combined or fixed. Why daily? These ancient lamps only held enough oil to last for about two hours. This parable is telling us that we must act on these daily to keep our oil drops flowing for our own good. It is by these simple daily acts, daily, drop by drop that we have light for today, and to build a reserve for unexpected ordeals and tribulations. We all have seemingly impossible situations and hardships that we feel we cannot endure. And yet, there is our Savior, and God, we can always turn to. We are never, ever too far gone, or have done too much to ask for help from our ever loving Heavenly Father. He can reach anywhere, anytime, if we will just begin to fill our lamp, drop by drop by drop. We will feel His love and light. By doing this, we can be filled with love, pure joy, happiness and peace – that is what this life experience is all about.